For my three children aged 9, 12 and 15, my dress sense has always been a cause for concern. There seems to be a very fine line between unacceptably middle-aged clothing, and being considered a “cougar» by your offspring. Finding the right balance can be a delicate process. As the sun poked its head round the clouds yesterday, I had a sudden irresistible urge to « slip into something more comfortable ». I had to admit that the manky black leggings, desert boots and shapeless cotton top that I had put on that morning were somewhat out of synch with the weather outside. I saved my latest scientific editing efforts on my pooter, and scooted enthusiastically up the staircase. Rummaging in the wardrobe, I spotted the 1960’s dress I love wearing in hot weather. I wriggled it on and squinted at the mirror. Although I was more Kitkat- than cat-walk material, I was satisfied with the result. A pair of strappy heels later, I felt much more feminine, and swung down the stairs into the living room. « Hey, kiddo, what do you think of your mum dressed as a girl for a change? » I proudly asked. Number two son stared at me blankly, and peeled his headphones off his ears, embarassed. « Ummm….. I wouldn’t bend down in that dress if I were you », he muttered. I looked down, wondering whether some kind of thermal time warp had shrunk the dress by 10 cm between the bedroom and the ground floor. The hem was still politely positioned two inches above my kneecaps. I looked back at my 12-year-old, half expecting to see him wearing a Lawrence of Arabia head dress, a list of forbidden clothing for females in one hand and a copy of « the beginner’s guide to stoning your hareem» in the other, but he had already snuggled back into the couch and was typing away on his father’s laptop. At the school entrance at 5pm, I was reassured to see that I was not the only mother who had dared to bare. Other knees had come out for sun and fresh air: matriarchs sported shorts, miniskirts and dresses, pepping up their look with sunglasses and peep-toe shoes. I could feel the gentle warmth of the sun on my skin, and smiled to myself. My nine-year-old tripped delicately out of the playground, flicking her long blond poney-tail as she said goodbye to her girlfriends. She is the kind of girl who could drag on a hessian potato sack and still steal the show, and I hope she will always remain that way. She planted a delicate kiss on my cheek, then wrinkled her nose daintily and said « Urr, don’t you think your dress is a bit short? ». « No, not at all! My legs are just too long », I retaliated, feeling like a petulant teenager who had been caught in her mother’s Louboutin heels. She tilted her head sideways and looked at me sternly, pursing her lips. My eyes saught salvation within the gaggle of mothers organising their battalion of pushchairs and schoolbags. «Look at that mummy over there, her skirt’s much shorter than mine! » I pointed out triumphantly. It was indeed : it was so short it no longer qualified as a skirt, but as a curtain pelmet. «Just imagine if I dressed like that!». Blam. As we returned home, I glumly imagined life in a burka. My grasp of the fashion world had always been tenuous; if I listened to my kids, my choice of clothing would henceforth be limited to grandma’s old curtains or an army camouflage tent. 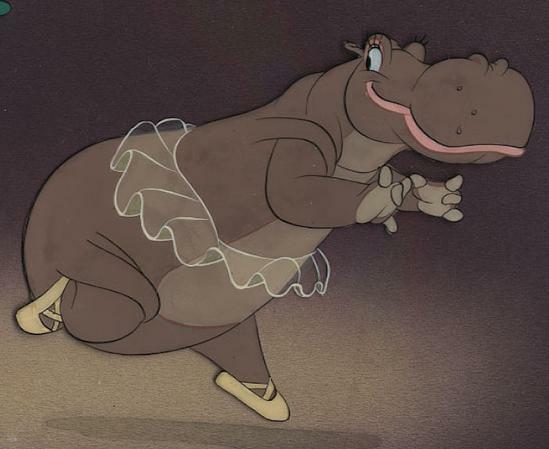 In their eyes, I had crossed the great age divide, and was now in the no-woman’s land where you transform from « mum in a mini » to « hippo in a tutu ». I realised that whilst my children demand more and more freedom to choose what they wear, they are unbelievably conservative about the way their parents should appear. This is reassuring in a way. After all, I’d be concerned if they asked me to get tattoos and a ring in my belly button: for them, visual proof of the generation gap is necessary to show that we’re the grown-ups. When I casually asked number two son today how he would like me to be dressed, he produced a gallic shrug and said « Well, as usual : a t-shirt, a pair of jeans and a pair of Converse lace-ups ». In other words, the mum image he’s most comfortable with: the real me. I can deal with that. Time to become a closet dress-wearer, I guess….. Anyone else out there had similar experiences with their kids ? This entry was posted in Family, Kids & Collateral damage. and tagged clothing, humour, motherhood, style by Multifarious meanderings. Bookmark the permalink. Luckily for me, Small Girl is still of an age where her eyes widen in wonder and delight when she sees me in any dress at all. If it’s a pink one, so much the better. I’ll enjoy it while it lasts. I suspect that your children would be severely disappointed in their auntie, at 45 I probably shouldn’t be getting my legs out at all, never mind flaunting them. Good job we know better, hey? What do they have to say about their father’s outfits? I am afraid I am one of those children who despair at their parents dress sense. My mother, lovely, funny and kind as she is, seems to have aged physically but not mentally. She is probably in good shape for woman in her early fifties. I have certainly seen worse, but then again i’ve also seen better, but perhaps that is down to the gruelling work hours she inflicts upon herself. However, on those rare days off, especially if the sun it shining it can be guaranteed that she will be dressed in a mini skirt, usually pink, and often will have sequins and other sparkly bits adorning her outfit. For occasions which require a more formal attire she is quite capable of finding age appropriate clothes, but will undoubtedly pull out a pair of what I call ‘prostitute’ shoes. I can just about cope with the mini skirts, but im afraid I have to put my foot down with the shoes! I feel your pain, girl 🙂 I’m not very good at those shoes, unless they have a system thought up by UHU to keep them on my feet for the very short distance I am capable of walking in them without screaming…. As for mini-skirts, I’ve never owned one, but my kids seem to qualify as a mini-skirt anything which shows more than my ankles! Brilliant, I love this post. Mrs Sensible throws a wobbly if I leave the house with flip flops on. They are only for the beach in Italy..
I’m glad I’m not alone. P.F is also a member of the “no toes in sight” brigade, but it doesn’t wash with me. Italians spend so much money on clothes, it is not uncommon to see some old biddy cycling down the road wearing a fur coat.. honest. I love my flipflops, t shirt and shorts. But when I get ‘that’ stare I know I have to change.